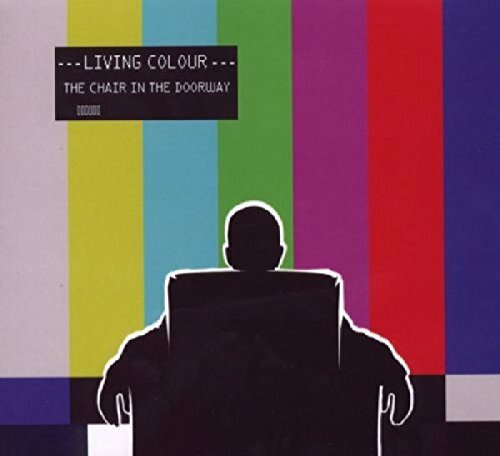 Living Colour will release their first new studio album in five years entitled The Chair In The Doorway on September 15 via Megaforce Records. Living Colour formed in NYC and still contains the original members Vernon Reid, Corey Glover, Will Calhoun and (since 1993) Doug Wimbish. The legendary downtown NYC rock band, who exploded out of CBGB's in the late '80s and landed all over MTV, the cover of Rolling Stone and stadium stages around the world with their Grammy Award-winning, multi-platinum debut album Vivid, are back and "fierce" as ever. The band gathered at Sono Studios outside of Prague in The Czech Republic during the fall of 2008 and spring of 2009 to write and record what would become The Chair In The Doorway. The results stretch from the modern soul anthem "Behind The Sun" to the politically-charged, heavy rock of "DecaDance to the sacred steel blues of "Bless Those. The artwork for The Chair In The Doorway was compiled from thousands of contest entries by fans from around the world. "We feel like this is the best record we've made yet and we couldn't be more excited to be releasing it with the legendary Megaforce Records," says guitarist Vernon Reid. "Some of our favorite bands were or are Megaforce artists, Metallica, Bad Brains, Anthrax, Black Crowes, so it's an honor to be part of a label with a great legacy."